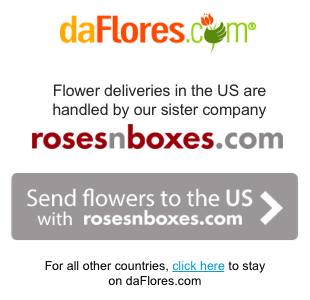 Nothing says “I love you” more than a dozen red roses. 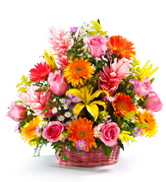 Tell your sweetheart you think of her all day with these sweet, tender blossoms, framed with fresh green foliage. 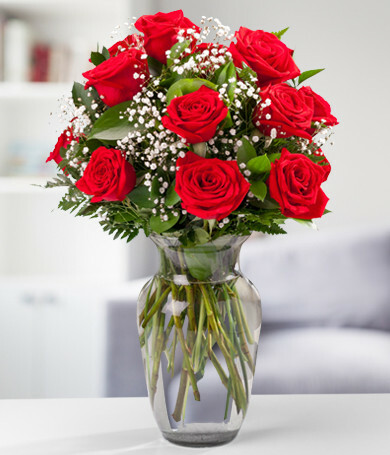 Our dozen red roses are set off to perfection in an elegant glass vase and make the perfect romantic gift.